Dale Nortje and Morné Moller are post-graduate professionals employed at senior levels in construction management and project development. TO BUILD asked them a few questions about the job and their busy lifestyles. 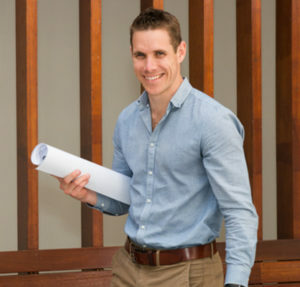 When he’s not deep-sea fishing or boxing, Morné is the quantity surveyor and a vital part of the team at Rawson Developers, based in Newlands, close to the University of Cape Town. 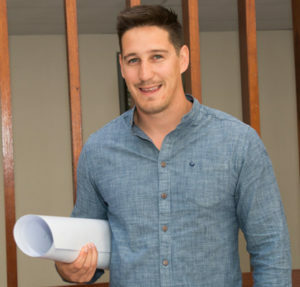 Morné graduated from Cape Peninsula University of Technology with a B.Tech degree and went on to complete his post-graduate education by selecting the quantity surveying option. During his studies in quantity surveying he was employed at Davis Langdon in Stellenbosch. Upon graduating he worked in construction for a short spell and thereafter joined Cape Town company, Rawson Developers, where he is the in-house quantity surveyor. ‘The best part of my job is being part of all aspects of the business. From the buying of the site, assisting with the designs and getting involved with the sales, all the way through to getting the occupational certificates in place and eventually handing over to the clients,’ he says. So, what does the job entail? Working in real life can be very different to what you are taught at university. According to Morné, he was surprised by the rough nature of the job – getting his hands dirty. However, he says that the best part of his job is seeing daily progress when he visits the site and sees things change – literally seeing progress. Given the fact that his company operates a flat management structure where all professionals are encouraged to get involved in the full construction process, he admits: ‘I like the idea that I can move between the site and the office daily. In doing this, I also get to deal with a whole lot of different people daily. This I really enjoy – dealing with the full range from the top bosses of big companies to labourers on site. I like to make friends with everyone’, he adds. Dale Nortje is the head project manager at Rawson Developers. ‘I studied at UCT and received a Bachelor of Science, Hons, in Property Studies Two years later I studied at UCT again to get my Post-Graduate Diploma in Project Management,’ says Dale. He entered the job market after graduating in 2007. ‘I have worked for 10 years at the same company, but even so I have found construction to be different to my expectations. We affect so many areas and lives and have to deal with the people factor – including city authorities and officials, neighbours, civic associations, built environment professional, environmental practitioners and activists, plus many more – including the workers, a very important part,’ says Dale. He thoroughly enjoys being both in the office and on site. ‘I get out of office for some of the day and solve problems or analyse programmes daily,’ he adds. ‘It’s in the head. You get to get out of the office for some of the day and solve problems or analyse programme daily. But also, the most challenging aspects of my job are the stress levels and dealing with different types of people”. ‘Anyone having been involved in project management would attest to this statement – it’s all about deadlines and delays!’ comments Dale. Working for Rawson Developers, however, shields the management from some aspects of project management. Many services are in-house, including building and construction. When he’s not dreaming about bricks and mortar, Dale spends his time with his family, does Crossfit and mountain biking. He is especially proud to have completed Ironman in Port Elizabeth in 2015.